Monday’s decision to designate the Iranian corps as a terrorist outfit is the first time that the U.S. has designated an entity of another government as a terrorist organization, placing a group with vast economic resources that answers only to Iran’s supreme leader in the same category as al-Qaeda and the Islamic State. The response in Iran was swift and to the point just 24-hours later. 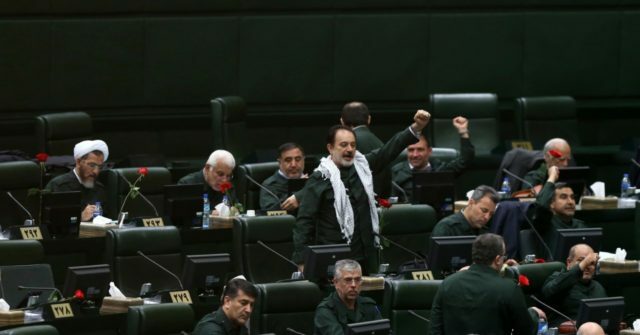 Parliament Speaker Ali Larijani denounced the U.S. decision as the “climax of stupidity and ignorance.” Supreme National Security Council’s spokesman, Keivan Khosravi, said that going forward, “any unusual move by American forces in the region will be perceived as the behavior by a terrorist group.” He did not elaborate.